March 19, 2014  After a year-long review prompted by a battery fire and other problems, an FAA team has concluded that the jet meets its "intended safety level." January 14, 2014  Reports of white smoke from a battery compartment have temporarily grounded a Boeing 787 in Japan, nearly a year after all the new airliners were grounded owing to overheating batteries. January 6, 2014  The Chicago-based aircraft maker delivered nearly 650 commercial jetliners and had 5,080 unfulfilled orders on its books for the year. October 7, 2013  The purchase of 31 next-generation A350s marks the first time the Japanese carrier has opted to buy from the European aircraft-maker. 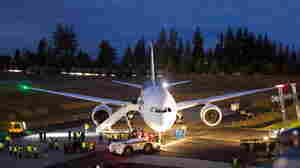 April 28, 2013  Boeing's 787 Dreamliner, the passenger jet that was grounded around the world after flaws in its battery compartment were found to pose a fire risk, is back in the skies. 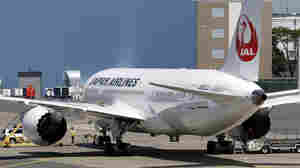 Airlines in Japan and Ethiopia reported no problems after sending the 787 into the sky this weekend. February 20, 2013  Japan says an auxiliary battery was improperly connected to the main battery that overheated, forcing an emergency landing. February 7, 2013  What Boeing told the FAA about the risks involving the lithium-ion battery aboard the plane have proved different in practice. Because of the battery issue, the 50 Dreamliners in service around world have been grounded. 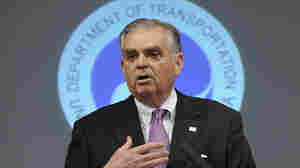 January 23, 2013  Ray LaHood says the FAA is in the "business of doing a top to bottom review" and they will let them finish their job. 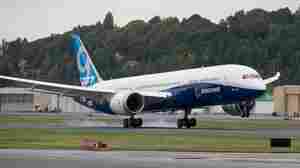 The FAA grounded all of Boeing's 787 Dreamliners to investigate their lithium batteries. 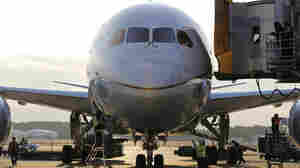 January 16, 2013  The 50 planes owned by airlines around the world have been pulled out of service. 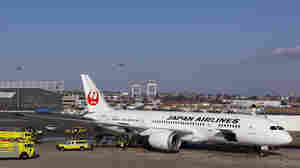 The Federal Aviation Administration and other authorities cite an incident in Japan in which one jet's batteries emitted smoke. 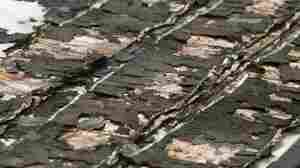 The Japanese report came a week after a similar incident occurred in Boston. January 15, 2013  The new Boeing jets have had a series of problems in recent weeks. 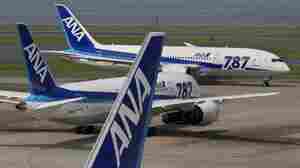 Tuesday's incident involved an All Nippon Airways flight with 137 passengers, all of whom were evacuated from the aircraft. 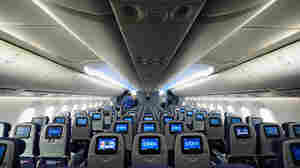 January 11, 2013  The new, high-tech planes have suffered a series of problems in recent days — from fuel leaks to a fire. 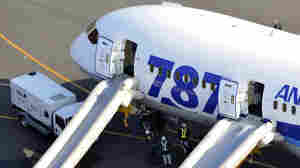 Investigators are going to focus on the 787s' electrical systems and manufacturing processes, according to news reports. The planes won't be grounded. Boeing and the FAA say they're safe. January 8, 2013  A fuel leak Tuesday on a Tokyo-bound Japan Airlines flight forced the Boeing 787 Dreamliner aircraft to cancel takeoff and return to the gate at Boston's Logan International Airport. 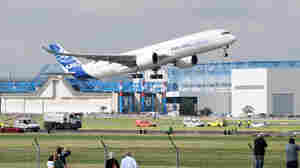 It was the second incident involving a Dreamliner in two days after a small fire on a 787 on Monday.